Inside the insoles that most of the top athletes in the world use on the field, on the ice and on the slopes. FERNDALE, Wash. — Tucked inside some of the highest-flying Olympic snowboarding boots, fastest NHL hockey skates and turf-churning NFL cleats resides a product few will ever see. But those wearing it sure do feel it. 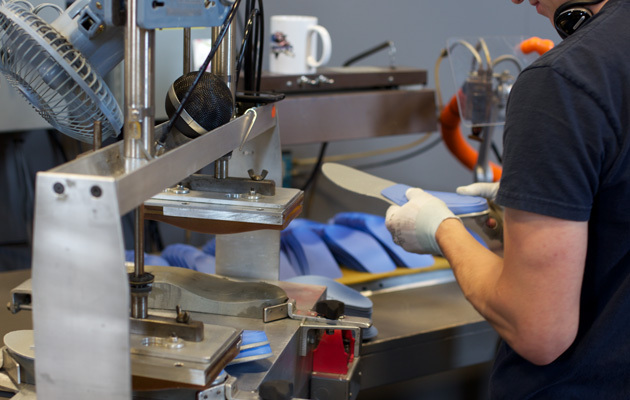 Sports’ most popular insoles are the products of a lab and manufacturing plant located in the northwestern most corner of the contiguous United States. From there, Superfeet turns out insoles for the world’s top athletes while extending the company's brand beyond the world of sports. In creating an effective insole, it all comes down to shape. Superfeet started as an extension of a local podiatry office with an altruistic vision of helping the feet of patients. And as shape makers, Superfeet must deal with everything from ski boots to hockey skates to running shoes. ​Gooch explains that the foot evolved to operate on three-dimensional terrain, but almost everything in our modern world is hard and flat—especially when talking about skating, court sports and turf fields. “Our foot has the most difficulty dealing with [flatness],” he says. “Nothing in the natural world is hard and flat, so when you ask the foot to adapt to that surface it becomes stressed. Gooch offers a crash-course in the foot, explaining that the rear foot and its large heel bone is one main area; the midfoot and arch another, with smaller rectangular bones that fit together relatively tightly; and the forefoot, with long bones that act as levers to help you move forward, is a third. Each part of the foot has a job in relation to the rest of the foot, and Gooch says the shape making of Superfeet insoles aims to keep the foot properly inflated, rotated and timed. Superfeet’s headquarters in Ferndale has the feel of a small-scale tech startup with a “Zen room,” Ping-Pong table and an arcade room. The 100% employee-owned company wanted it that way, with the employees leading the charge on the next big things for the company. Inside the headquarters lies the manufacturing plant , churning out insoles of all sorts. Superfeet classifies its different offerings by color, with the insole and packing all revolving around that. What started as Green, Blue and Black has quickly raced through the primary colors and into special mixes, but all still color-focused to help the customer understand the product. ​Each color targets a “footwear environment” to adapt that shoe to the foot. The plant uses a mix of materials, from differing foams to hard caps—nylon and polypropylene, for example—to create the desired shapes and molds. Some insoles, such as Superfeet’s Blue, use a rail system underneath to create stiffness by building up depth, but without solidity that reduces the flexibility of the foot. Superfeet recently introduced its “carbon” color, a cap now made with a carbon-fiber blend, dubbed EVOLyte. Instead of simply adding a layer of carbon fiber at the end of the manufacturing process, Superfeet compounds the carbon fiber as the cap gets made, blending it evenly throughout the product, Gooch says. The addition—or subtraction—of fibers during the process creates different flexes and feels for the cap, helping EVOLyte achieve different feels for different needs and insole colors. Previously, if Superfeet needed more strength, it needed more material, making the insole thicker. The ability to go thinner allows the company to accommodate more users and more footwear environments. Gooch says that 75% of people will seek out treatment for foot-related issues, but only 10% purchase something to help them out. 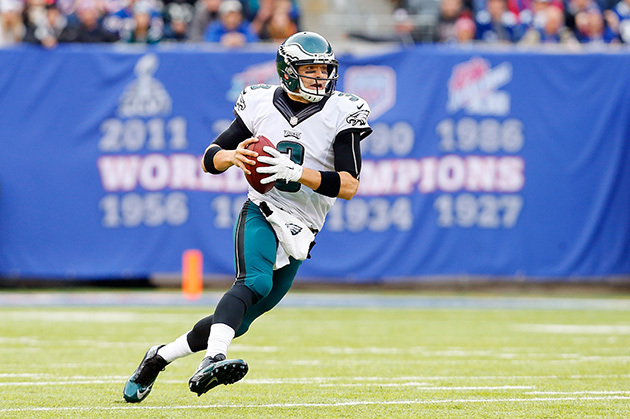 Some of those 10% are elite athletes, from the entire Canadian snowboarding team to NFL players, including Mark Sanchez of the Eagles, the Los Angeles Kings hockey team and MLB players. To best understand each foot, Superfeet uses an in-house laser-enabled machine to custom-fit the insoles. For the elite athletes, Superfeet has expanded its technology to increase performance, Gooch says. From a warm-weather product for an ice skate or ski boot that has thermoregulation technology to a product aimed for cleat wearers with a lighter weight, Gooch says athletes in Superfeet see an improved fit of their chosen footwear and improves the way an athletes interacts with the ground, all while reducing stress on the body. “If we can provide structure under your foot to keep it from going into the pronated position for too long, that timing will increase the efficiency of every single stride,” Gooch says. Even if it stays tucked away inside the footwear for nobody to see.